Building an Active City is hard. This is behavior change on a large-scale level and yet most of us in the active living movement stay laser-focused on our individual projects on after-school programs, bike lanes, workplace wellness programs and any number of isolated initiatives. But, the evidence accumulated by Active Living Research clearly shows that you won’t be as successful without working across the active living spectrum to grow your impact. Communities across the country are suffering under the weight of inactivity, food deserts, health inequity, and crumbling infrastructure. While your city’s political and administrative leaders feel the burden of all of these issues, the active living proponents in your area are probably working on the edges in their own silos. We are either unaware of the power of our combined impact or we allow funders to incentivize us to implement narrowly-defined programs. It doesn’t matter the active living silo, the result is that groups rarely coordinate. School groups gather in a cafeteria, transportation planners are in a public meeting, corporate wellness representatives are in a conference room, and the health experts stay busy working with patients at their clinics. Normally you don’t even know each other let alone work together. So, here’s an important message for you well-intentioned people: the silo you work in isn’t so special! As difficult as it is to look in the mirror and accept responsibility for the silos in the Active City Movement, it’s time you busted down those walls, created partnerships, and embraced a community-wide movement. Collectively, our individual efforts can become synergistic and amplify our impact. We can get more people living actively! We chose 25 industry leaders for our Movement Makers National Active Living Summit presented by VCU Health on May 17-19 to challenge you to bust out of your silo and, in the words of Albert Einstein, “Learn to think in a new way.” These speakers are part of the active living movement and won’t just speak to you; they will interact and network with you and, most importantly, challenge you. Ultimately, the attendees will be people like you with a shared goal of inspiring and motivating residents in your community to embrace a healthy, vibrant, active life. Check out the speakers below and their bios on www.movementmakers.com. And make sure you are in Richmond May 17-19 to learn how to get your city and fellow residents more active. The Summit kicks off with Jeanette Betancourt, ED.D., the Senior Vice President for U.S. Social Impact at Sesame Workshop to talk about how Sesame integrates messages about healthy food choices and exercise as a part of the Healthy Habits for Life program. Dr. Betancourt will be teaching some of these Healthy Habits for Life from her pals at Sesame Street which will include tips on eating, exercise, and hygiene. Acclaimed author Richard Louv (Last Child in the Woods, The Nature Principle, Vitamin N) will lead the Featured Session, ‘Toward a Nature-Rich Urban Future: How Your City Can Lead the Way.’ As the co-founder of the Children and Nature Network, Louv will focus on the unprecedented change towards city living in America in the past two decades and how physical activity in the outdoors can address the outcomes from such a drastic shift. Louv will be introduced by Tim Joyce, the CEO of the YMCA of Greater Richmond. Fresh off her tenure as Co-Chair of the President’s Council on Fitness, Sports & Nutrition, three-time Olympian and former gold medalist Dominique Dawes will be part of a Featured Conversation with PBS NewsHour’s James Blue to talk about educating and motivating others on health, fitness, and equity. James Siegal, CEO of the national non-profit KaBOOM!, brings his message of creating play opportunities for all populations in all environments for a Featured Conversation with The Atlantic’s CityLab writer Mimi Kirk (introduced by Craig Cronheim, Vice President of Human Resources and Loss Prevention at CarMax). Learn how to overcome the challenges of creating play in built environments with PlayWorld’s Missy Benson and KaBOOM!’s Naudy Martinez. And because play is active, Naudy will also be leading Playability Walks during lunch each day to look at the opportunities for creating play in the nearby built environment. And don’t miss Initiative of Change’s Equity Walk to explore how the built environment can affect health and equity. The role of cities is an important piece of creating a culture of active living for all populations. Movement Makers is thrilled to have Gabe Klein, former Commissioner of the Departments of Transportation for Chicago and Washington, D.C., co-founder of CityFi, and author of Starting Up Equitable, Active Cities, to talk with attendees about closing the gap between the energized, aggressive world of start-ups and the complex bureaucracies struggling to evolve positively. Gabe will identify the larger macro trends in society, address process innovation and governance and talk about how city leaders are re-organizing urban systems to be collaborative rather than at odds with one another and the city’s goals. Judy Robinson of Design 4 Active Sacramento will lead a session on building active living into your local zoning regulations, influenced by Sacramento County’s Design Guidelines which were used to identify ways to promote physical activity and health and add active features into development projects in California. The Centralina Council of Government’s Kim Hebert will lead two sessions of the American Planning Association’s Health Impact Assessment (HIA). The morning session will focus on the specific aspects of the HIA, with the afternoon session spent conducting an actual HIA on site in downtown Richmond. Steven Woolf, MD, MPH, is Director of Virginia Commonwealth University’s Center on Society and Health and the author of the Robert Wood Johnson Foundation’s study on how where you live can affect life expectancy. During Movement Makers, Dr. Woolf will review the latest findings on that study as it expands to more cities across the nation. 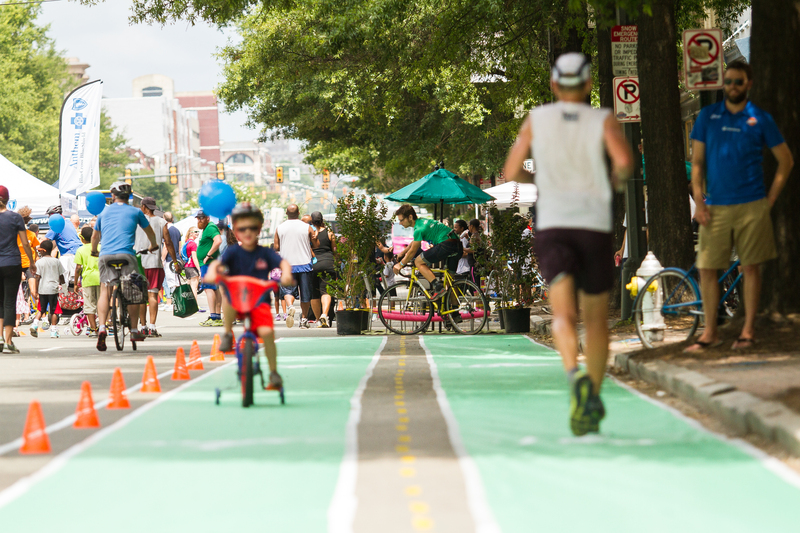 The tools of supporting active cities and active living are a priority for Movement Makers. Salud America’s Amanda Merck will share best practices to support collaboration and active living through online tools and social media. Author Jenifer Joy Madden will lead a session on best practices for community advocates for healthy living and the five basic steps for identifying and successfully tackling infrastructure issues that are barriers to health. 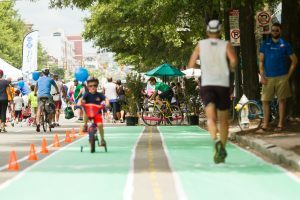 Bike Walk RVA’s Director Max Hepp-Buchanan and Heather Barrar, of the Chesterfield County Planning Department, will share their advocacy lessons on the uphill battle of building bikeways and paths in rural and suburban areas. Building collaboration with diverse partners is a key component of supporting physical activity. 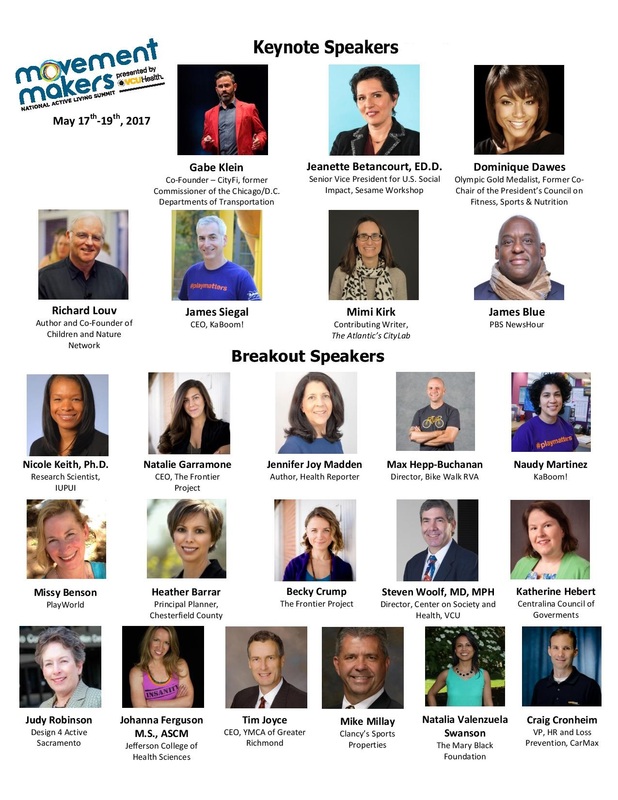 Jefferson College of Health Science’s Johanna Ferguson and the YMCA of Greater Richmond’s William Thornton will lead a conversation on reaching out and building a community-integrated health approach, including using Exercise as Medicine as a model for partnerships between the medical and fitness communities. Sportable’s Cat Anthony and Team RWB’s Kevin Rosenblum will speak on the opportunities and challenges of supporting physical activity for populations with physical and visual disabilities. To empower attendees to better understand opportunities and the promise of supporting active communities, NiCole R. Keith, Ph.D., of Indiana University-Purdue University Indianapolis and a Fellow of the American College of Sports Medicine, and Natalia Swanson, a healthy eating/active living program specialist with the Mary Black Foundation in Spartanburg, SC, will speak with attendees on the foundation and grant-making relationship and setting expectations for health outcomes in funding. Don’t miss this opportunity to learn, network, and get hands-on experience supporting active living! Register now at www.movementmakers.com.